I am going to share and explain how to generate HTTP traffic using gns3 with a very easy method. I have build a simple lab in GNS3 for achieving this goal. I just use cloud and a web browser for generation of HTTP traffic. For detail you can visit this lab Generate HTTP traffic in GNS3 without Traffic Generator. By increasing the first distant office, PNG manufactures has extended their business. They configured the remote office router (R3) from which they can reach all corporate subnets. In order to raise network stableness and lower the memory usage and broadband utilization to R3, RB manufactures makes use of route summarization together with the EIGRP Stub Routing feature. Another network engineer is responsible for the implementing of this solution. However, in the process of configuring EIGRP stub routing connectivity with the remote network devices off of R3 has been missing. Presently PNG has configured EIGRP on all routers in the network R2, R3, and R4. 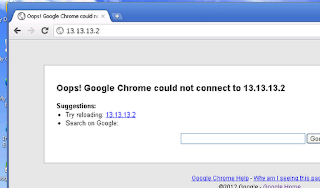 Your duty is to find and solve the connectivity failure problem with the remote office router R3. You should then configure route summarization only to the distant office router R3 to complete the task after the problem has been solved. Create the above lab with following configurations in GNS3 and then practice this SIm with Real Exam configuration for your Route Exam. R4 & R3 are not communicating because of eigrp stub receive-only command in EIGRP Process 123. Due to this command router R3 is not sharing any of its routes with any other router in that EIGRP 123. For R3 only have 2 subnets we need Summarization at the R4's serial 1/0 interface which is connected with R3. In your real exam IPs might be different so you need configure R4 according to requirements. There are few things you should keep in mind before taking route exam. · There are 50 questions. You have 90 minutes to answer them but if your native language is not English, Cisco allows you a 30-minute exam time extension. You need to get 790 out of 1000 points to pass route exam. · Before exam review all latest route exam topics, IS-IS have been removed from route exam. For save side you can try “Copy running-config startup-config” on every sim. · Time management is also very important in exam, they are 3-4 sim in every exam, therefore manage you time. · Prepare well before exam, clear important concepts and if you are preparing your exam from some dumps for final preparation then learn them by concepts not by options ABCD because in real exam there are bullets and no options as ABC. 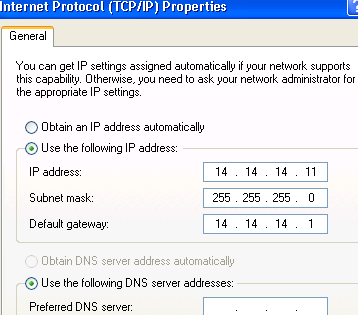 · Also in lab-sim sometimes IPs and network mask are changed therefore you need to relay on your concepts. Route.com is a small export company that has an existing enterprise network that is running IPv6 OSPFv3 for process 1. Currently OSPF is configured on all routers. However, R4′s loopback address (FEC0:44:4) cannot be seen in R1′s IPv6 routing table. You are tasked with identifying the cause of this fault and implementing the needed corrective actions that uses OSPF features and does no change the current area assignments. You will know that you have corrected the fault when R4′s loopback address (FEC0:44:4) can be seen in the routing table of R1. Note: To gain the maximum number of points you must remove all incorrect or unneeded configuration statements related to this issue. This lab is for testing your OSPF virtual-link concepts. And need to configure all routers with correct virtual-link commands. 1. you need to short out the wrong virtual-link configurations that you will find on R3 & R4 i.e. First remove these command and add the correct one. since i have simulate this lab in GNS3 for exam's practice that way first i have configured lab with wrong configuration as you will find in real exam in GSN3 configuration section and in Real exam section i correct all incorrect configurations and add with right configuration. Create this lab in GNS3 with following configuration, after these configurations you can start real lab configuration as you need to complete in exam. Follow virtual-link configuration are wrong i have added these because in real exam you will find such wrong configuration and you need to removes these and need to configure R2 & R3 for virtual-link. Also in exam configuration i shall removes this area 54 virtual-link 4.4.4.4 command from R3 so that all routers can communicate with each other. In this lab you need to configure virtual link for area 11 so that end to end communication can be possible. Show Run on R1, R2 ans R3, and check the virtual links commands, if you found any of router please remove these first. Also note the router-ids and ospf process ID. In real exam IP addresses, OSPF process ids and area ids may be change, so you need to figure out the exact values by using show run. For example in R3 configuration you found area 54 virtual-link 4.4.4.4 which is unnecessary. So please remove this. You need to make the virtual link on R2 & R3. We create virtual links when some OSPF area is not physically connected with backbone area (Area 0). The area through which you configure the virtual link is known as a transit area. Routers R2 and R3 are belonging to transit area that way need to add commands on these routers. Complete the virtual links configurations on R2 & R3. After configuration use command “Show IPv6 route” on R1, if you found the R4 route in routing table its mean you have done this lab successfully. And ping from R1 to R4 should be successful. Important Tip: Please don’t forget to use IPV6 in every command e.g. 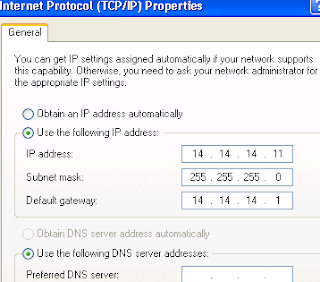 Show IPV6 route, IPv6 router ospf 54 etc. Company Route.com has two links which can take it to the Internet. The company policy demands that you use web traffic to be forwarded only to Frame Relay link if available and other traffic can go through any links. No static or default routing is allowed. 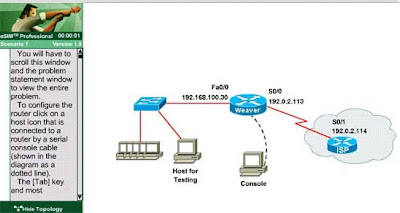 I have created above lab in GNS3. BorderRouter and R1 are configured with EIGRP 11. I have used a cloud for generating HTTP Traffic. I connect the e3/0 interface with PC’s NIC using cloud and assigned the following IP. 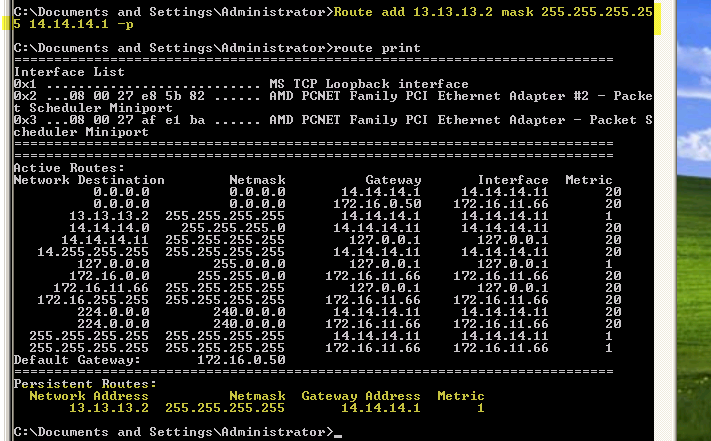 And also add a manual route for 13.13.13.2 so that my PC can access internal R1 Router. For this go to Run\cmd (make sure you have admin rights) and use the following command. You can use “Route print” command to verify. In testing part I will show you how I generate HTTP traffic from using GNS3 cloud. To made communication between R1 and Borderrouter I use the EIGRP, in real exam lab you don’t have any concerned with routing protocol for this Sim you just need to create ACL and Route map in real exam. First you need to create an access-list, which allows all HTTP traffic. Secondly you need to create route-map to send the traffic through Frame-relay interface. In Real Examthere is a “Host for Testing”, click on that. Then click on this “Generate HTTP traffic” button to generate some packets for HTTP traffic. 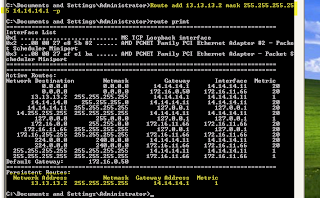 Jump back to the BorderRouter and type the command “show route-map”. You will see that 9 packets matches which verify that your configurations is correct. To test your configurations in GNS3 you just type “http://13.13.13.2” in web browser. 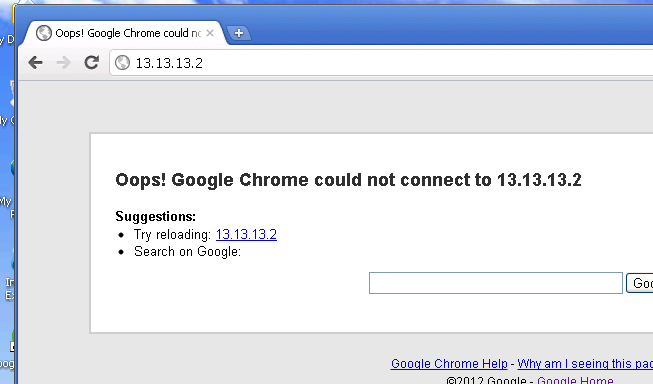 Result will be “cannot fine this page” but this will pass some http packets to frame-relay ISP. Now type the command “show route-map”. You will see packets matches. In following topology there are four router, R1, R2 and R3 are running in EIGRP AS 100. While R2’s s1/2 is running in OSPF area 24, R3’s f2/0 interface is running in OSPF area 34. In this Sim you need to redistribute OSPF into EIGRP so that they can communicate with each other. At the end of your configuration ping from R1 to Test IP 172.16.100.1 must be successful. After complete the above configuration you are at same stage where you need to configure this lab in exam. We have done so much as given in exam and from now on word you have to handle this complete the configuration. Step for configuration in Exam:First we need 5 parameters of the s1/2 interface i.e. (Bandwidth, Delay, Reliability, Load, MTU) for this use command. For R3 we use the show interface fa2/0 to get these 5 parameters. Show ip route on R1: You will see the all other routes if you done the correct configuration also ping from R1 to 172.16.100.1 should be successful. 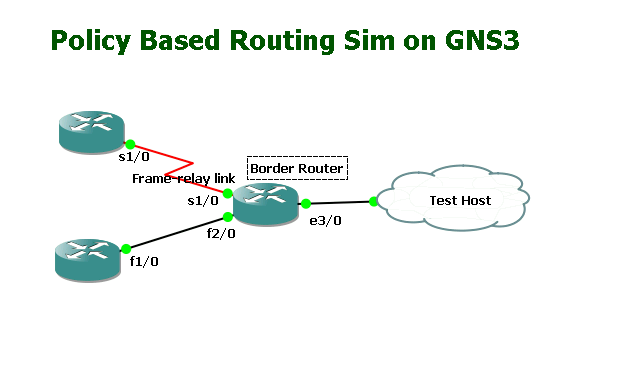 First you need to create this topology in GNS3 as show above with following configurations. From above configuration you have notice that Portland router and Anami’s S1/0 interface is not running OSPF that way they are not able to communicate with other. In order to complete the configuration you need to run OSPF on these. For appropriate mask for 192.168.4.5\30 you need to find out the network ID for this subnet. As we know that \30 is 6th bit of 4th octet that way from above table these subnets are divided into four number differences as follow. “Area 1 should not receive any external or inter-area routes” configure area 1 as totally stubby area. Ping from Lynaic to Portland should be successful and Lynaic have all route in its routing table.